Plug-in developer Alex Hilton is offering a free stereo expansion plug-in For Pro Tools, A1StereoControl. 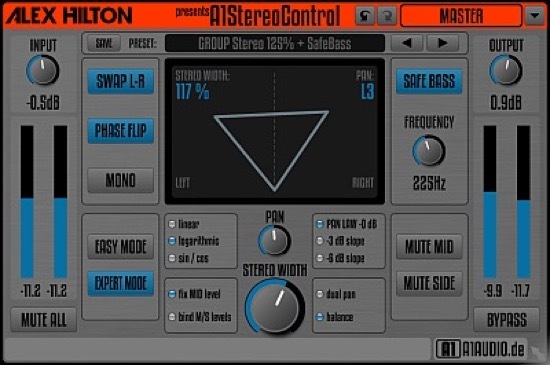 A1StereoControl plugin you will be able to expand or limit the STEREO WIDTH of your tracks using only one single knob. This powerful technique can be used on single tracks or groups tracks while mixing or even on a master bus in final mastering situations. The plug-in is completely free and available from his web site.